The HP ProLiant DL360 G7 1U 4 Bay Refurbished Server combines performance, intelligent power and cooling management with IT management tools and essential fault tolerance, all optimized for space constrained installations. 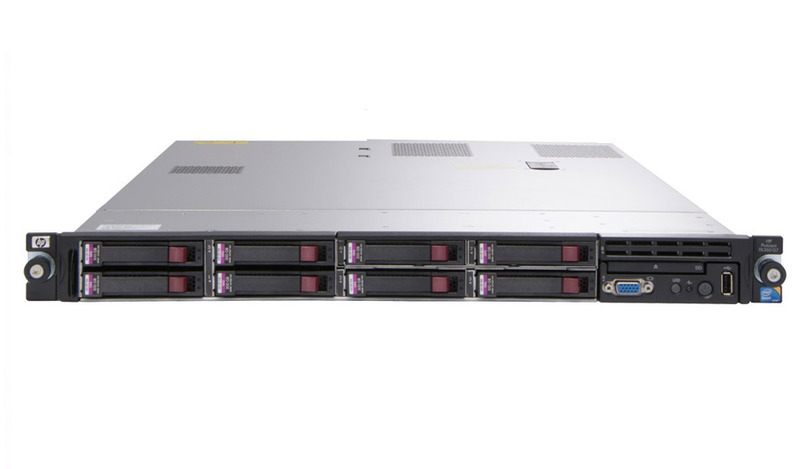 The rebuilt HP ProLiant refurbished server has the improved performance of the latest Intel 5600 series processors, Unique HP Thermal Logic Technologies that provide leadership in energy efficiencies and ProLiant iLO 3 remote management. HP continues to provide more performance, flexibility and efficiency for space constrained environments. Hard Drive See options above. *Weight may vary based on Server configuration. The HP ProLiant DL380p Gen8 Refurbished Server sets the next generation standards of 2U 2-socket rack servers. The Dell PowerEdge R720 Refurbished Server delivers outstanding performance and reliability.